My parrot is usually eating. Today she felt like talking too. The other day I was having lunch in my studio when all of a sudden my parrot flew over to the table and bit the back of my hand. I thought she just wanted a piece of cheese of my sandwich—she has really odd eating habits—but after the blood started flowing she walked over and took a dump on the papers for an article I was writing about tough dog names. “WTF was that?”, I asked her. I grabbed the dripping papers and tried to swat her but she squawked and bounced out of range. 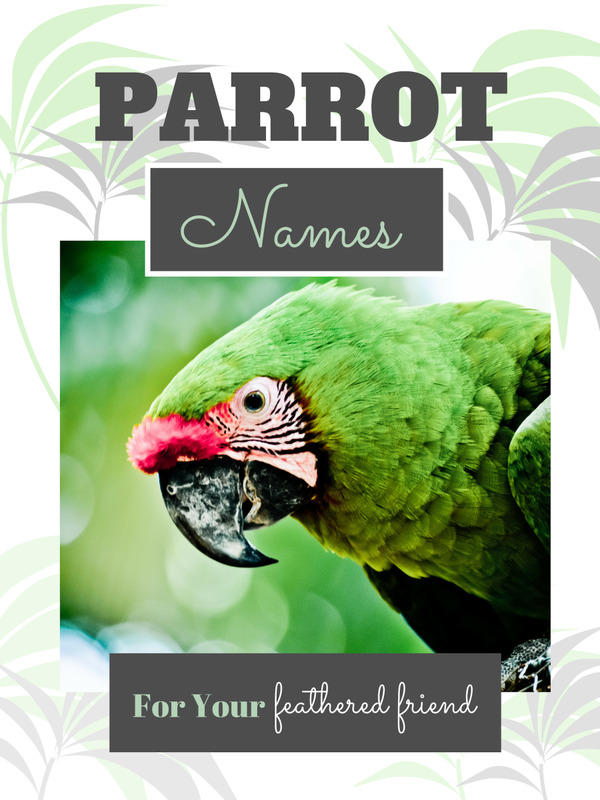 “Try a list of parrot names,” she suggested. That was a mistake. For the next hour my parrot proceeded to ramble on, telling me every parrot name she could think of. 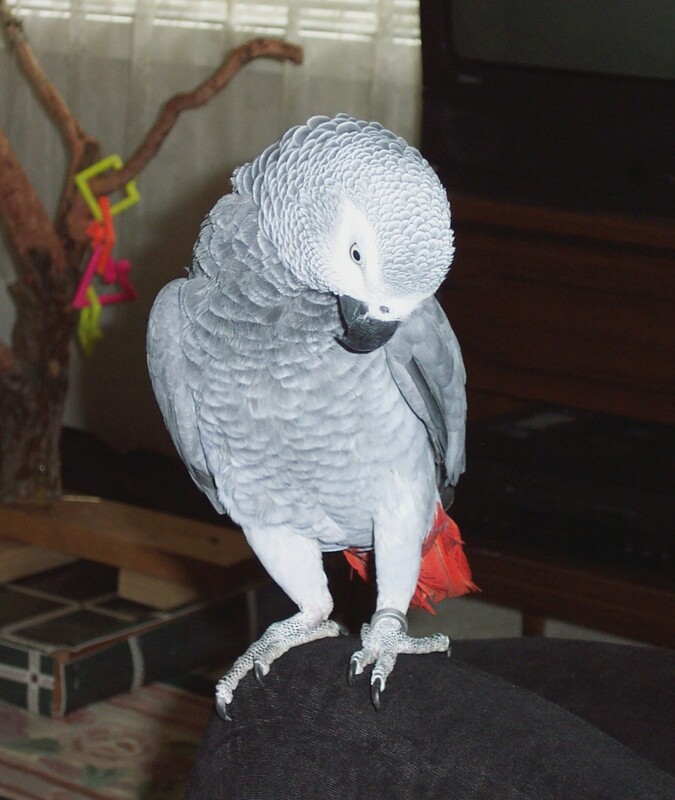 When my parrot starts discussing new names, I am used to being looked down upon. A lot of these are good nicknames too, no matter what language you use to yell at your parrot! My parrot has learned to talk with her mouth full. My parrot was finally exhausted. She took a bite of my sandwich, dropped a little green “present” on top of my dog, and flew back to the perch in her corner. I like my birds to have a first and middle name. My cockatoo came up with her name, "Panda." Do you have any ideas for a middle name for a loud and clingy "Panda"? Panda sounds great. When you mentioned clingy, I immediately thought of a sticker. My Pionus is like that, hanging on to me for breakfast and lunch, following me around during the day when I am working my horses out in the pastures. The Brazilian name for a sticker is "Carrapacho." If you do not like this how about just calling Panda "Sticker"? The other thing that sticks to all of us around here, especially my dogs, is ticks. They are called "Carrapato," but I am not sure Panda would want to be stuck with that name! If you have any special names from around your house, just leave a question here and I will discuss it with my parrot. She usually answers right away. I like Batman as a nickname for a parrot. Thanks for the cute article. Hey, now I want a parrot. Later! I think you favor Lauro 'cause she's cheeky and Docinho is a sweet little thing who is polite and respectful. Lauro sounds like Joseph who used to travel with me in my little motorhome. I set up his cage high up on the passenger seat so he could see out and wherever we stopped, I'd bring the cage out on a chair and open the door for him to climb out on the top. He always seemed to have a circle of admirers around him. 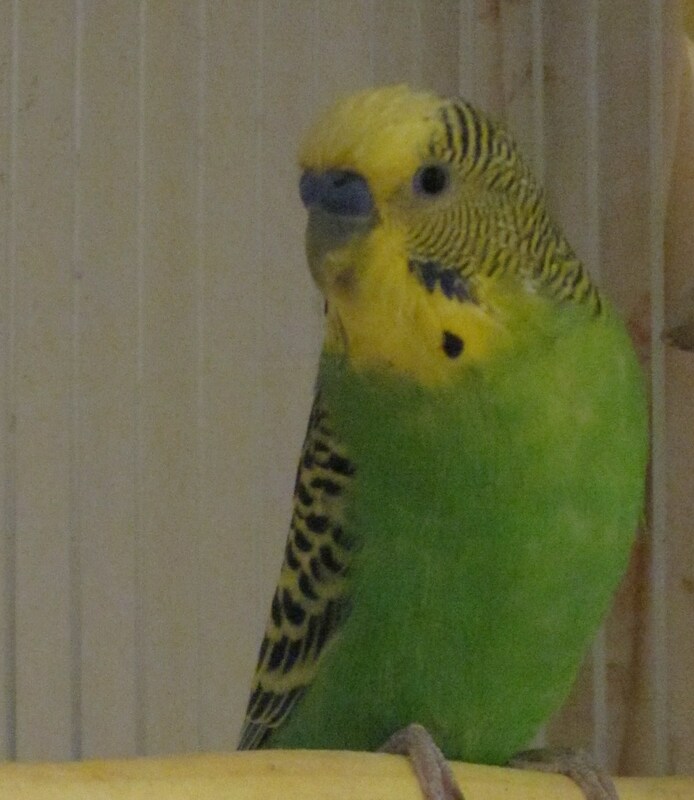 My fav memory of him is him sitting on the perch as I drove, one rice cracker held in his left foot, and him leaning on the side of the cage for balance while he munched away.. . . He was a real card! 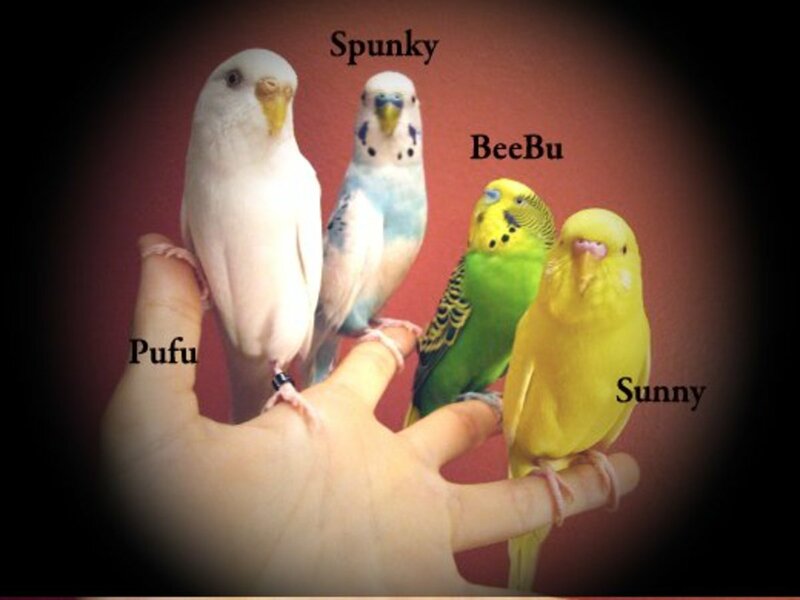 Even here in Brasil, many bird fanciers keep budgies and cockateils, so you must have a lot of great birds to choose from! 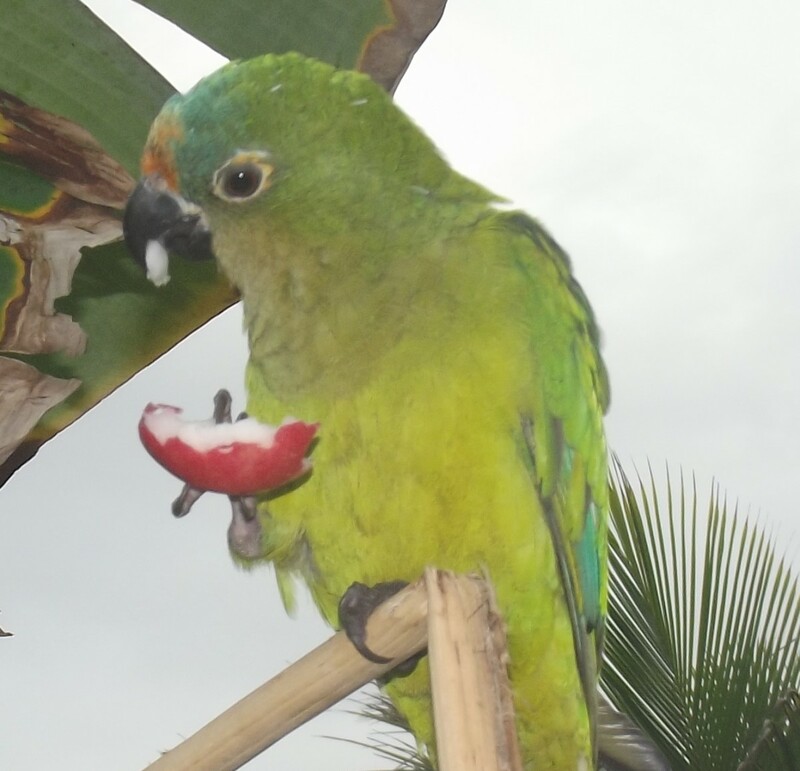 Oh, by the way, my other parrot, Docinho, suggested a name too but I forgot to add it. He is kind of "slow" since it is the only thing he says each afternoon. I keep a large flock of guinea fowl, and they go to the neighbors´ yards each afternoon to look for ticks. 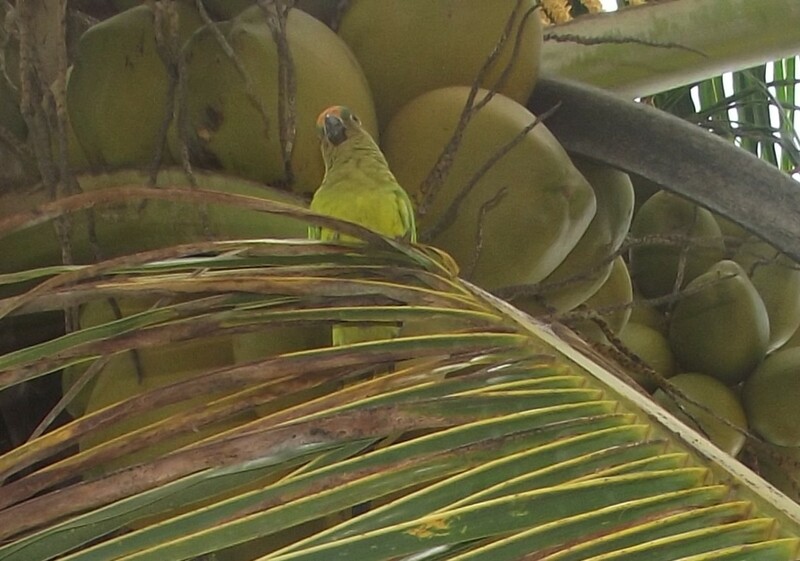 Each evening I have to call them home by saying "ko-ka, ko-kaw" (this is what the birds are called here in Bahia) and that is the one thing Docinho can say. I guess I have to let Lauro keep coming up with the names!!! I don't believe that Lauro came up with all those names. She would not have suggested Caginho and Latinho! I bet you did! 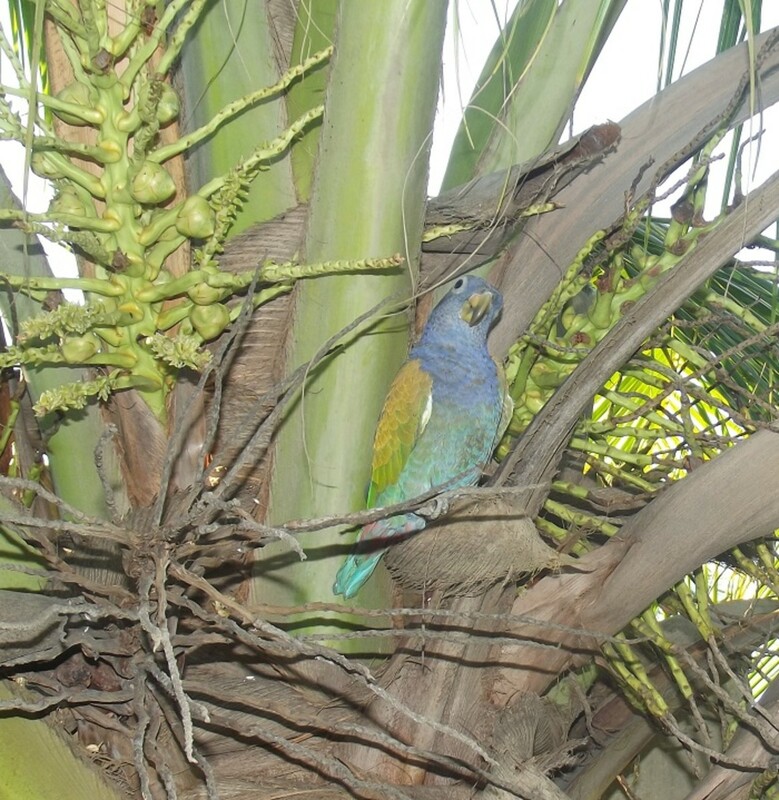 I've never had a parrot -seeing as I do not live on the beach - but I did have Joseph an Eastern Rosella (smallish parrot type bird) who was by all counts as cheeky as Lauro. He also tended to draw blood when he was cross! This was fun to read, thanks! What fun! 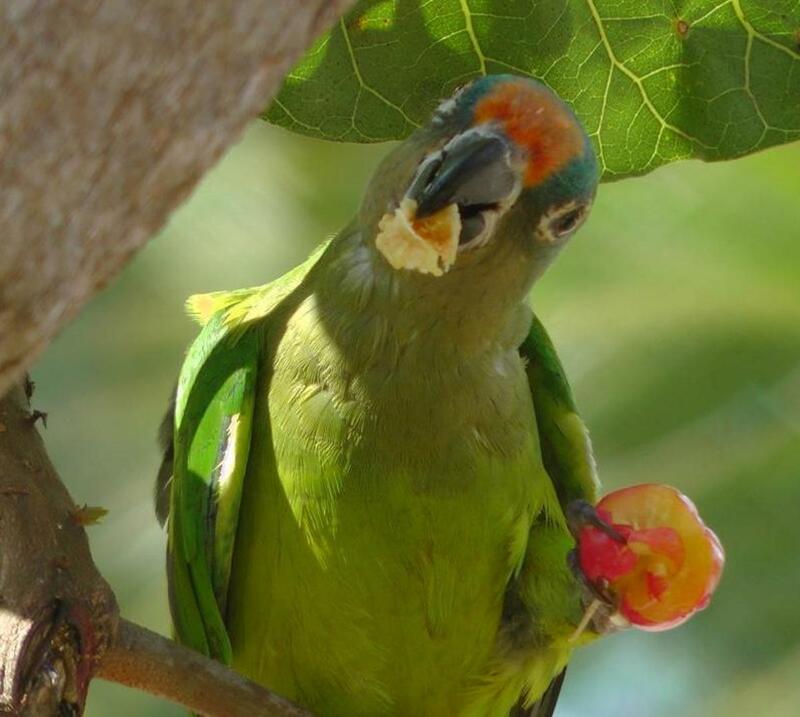 I had a conure when I was an undergraduate in the US. He was so loud that I could hear him from the parking lot when I came back from classes, and I lived on the seventh floor. There were so many complaints about him that I eventually gave him to one of my classmates moving to Florida with her parents. This is so funny! 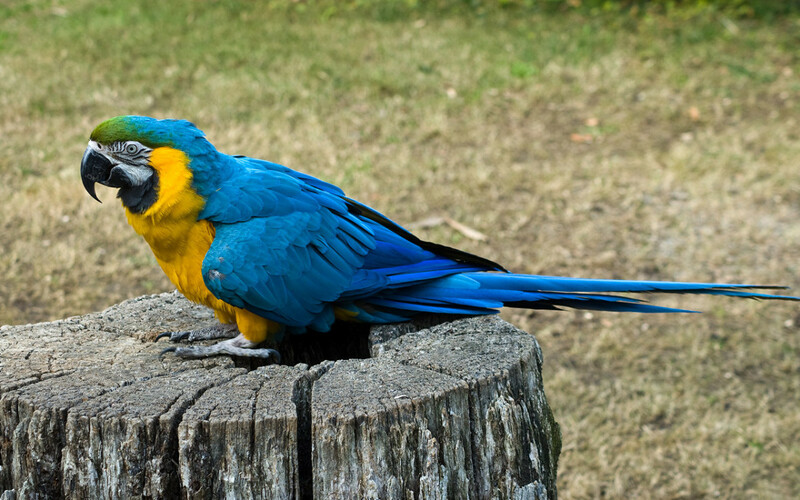 The behaviour of your parrot reminds me of my dusky conure, who is walking over my knees as I write this. I love CeCe, but s/he is a feisty bird. Some of your names would be very appropriate! Yeah, everything's fine here...working 6 days a week and loving it, although I do greatly miss writing and surfing here and the other site. Haven't had any cute or funny emails to forward lately...mostly political sarcasm and off color stuff. Now that you mention it, Bob, a nice parrot stew sounds good some days! My last parrot hub is dead in the water. I think it has had about 150 views in 6 months. (It is more successful than my "Berber names for an Azawakh", but...) I probably would not have even bothered with this if it weren´t for my parrot being some obnoxious and demanding. Oh, and we pronounce it Raw-ja too, which is why I just left it blank up there. I wouldn't want all of the Mexican hubbers to get mad at me. Thanks for reading. I haven't seen any emails from you in ages, hope you are doing okay. I am not real sure; a client gave her to me several years ago and she was already an adult. They live from 25-50 years, so I already talked to a friend about taking her when I am no longer around!! Great hub, but probably dead in the water...parrots, you know :) The names are interesting, but you must complete the "pronunciation" column, especially for us Bay Staters, who talk funny anyway. For example, Roja is probably pronounced Ro-ha, but we Bostonians are more likely to pronounce it Raw-ja...the same way we pronounce Roger. Lauro is lucky she has you. After ripping a hand open, pooping on some work in progress, taking a bite of a sandwich and anointing the pit bull, most would have turned her into fricassee by now. That being said, I'm sure that, like all of your animals, she's given the best of care and an abundance of love. Fun read. Voted up, useful, funny and interesting. 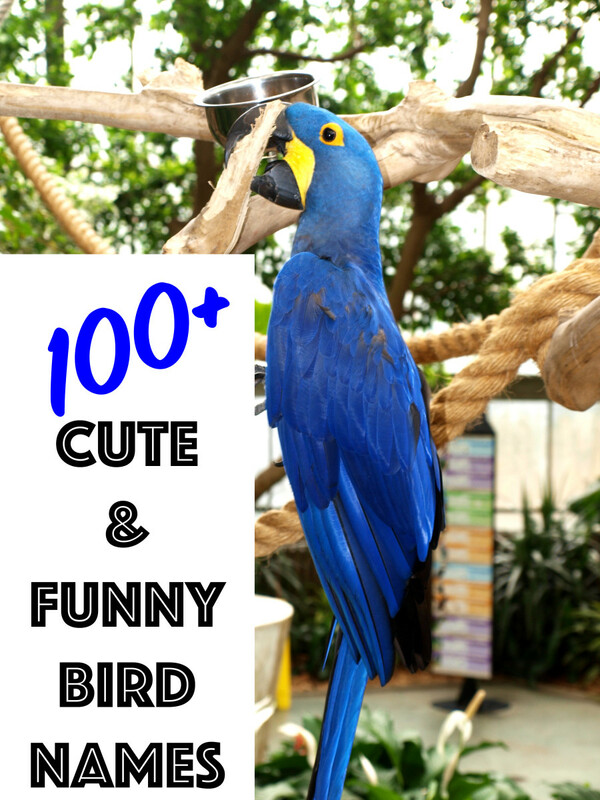 How old is Lauro and how long do parrots usually live? She is beautiful! 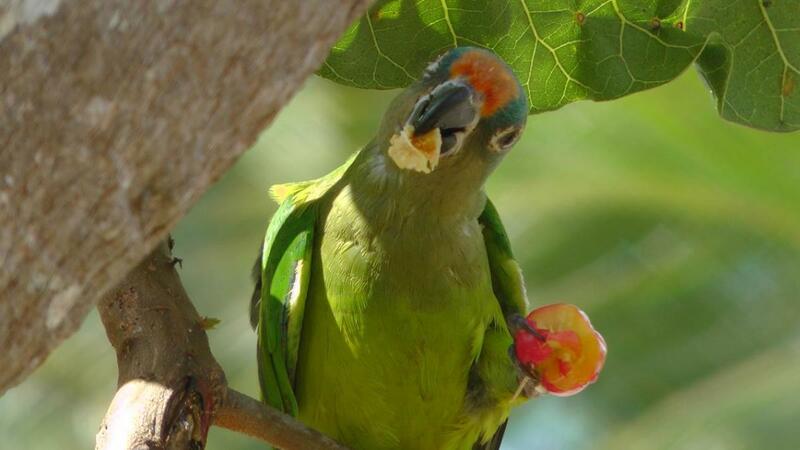 Naughty parrot - now what is her name?